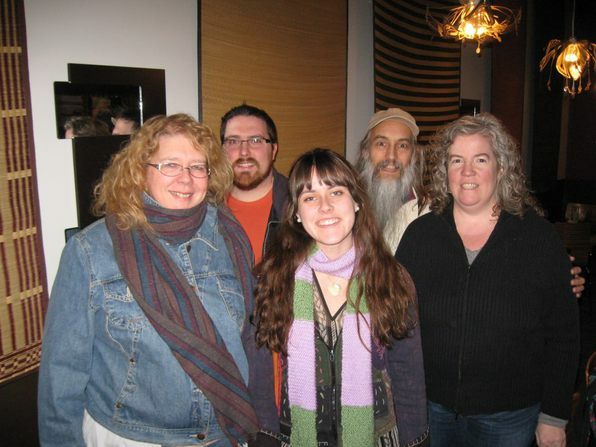 These are the people who keep the place running: the Board of Directors, various committees, Camp Director, and staff. 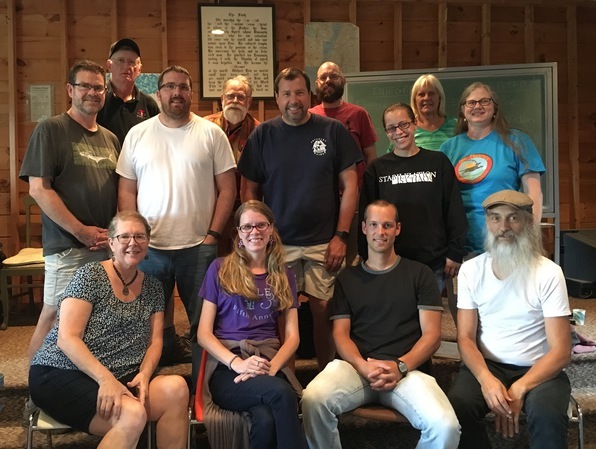 They are all volunteers who put in many, many hours of work before, during, and after camp. 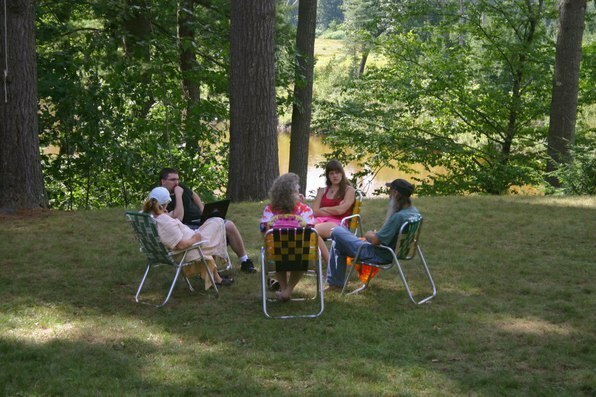 And although the Camp Director and staff get room & board at camp, none of these people get paid for any of the work that they do. 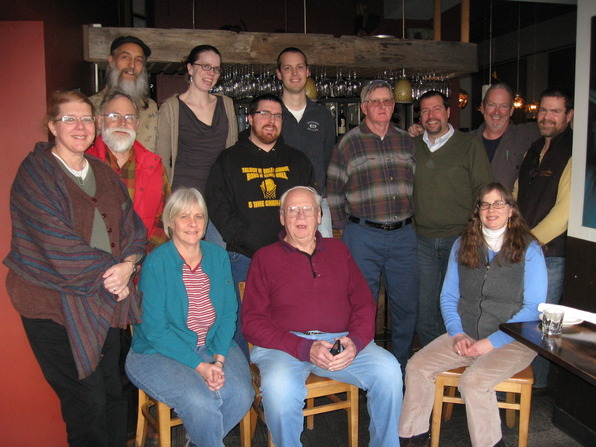 "Board of Directors at their Mid-Winter Meeting"
Check out those beards! Also, see the two computer screens at the far end of the table?... 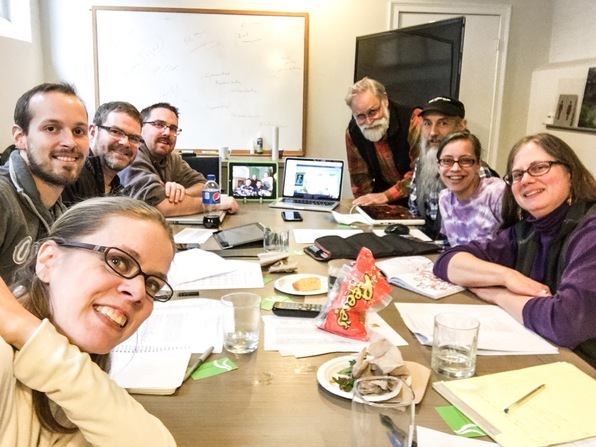 that's the Maine contingent of the Board skyping in on the left, and the Pennsylvania contingent skyping in on the right, so the full Board participated in this meeting. 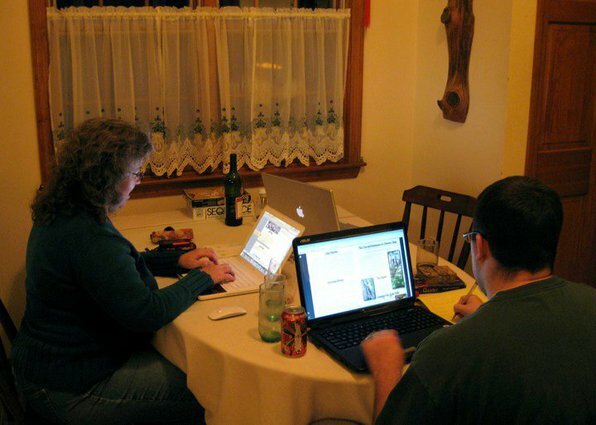 The Registrar (Nancy Little, left) and the Camp Director (Jason Greenwood, right) work together editing the Bulletin at the winter Summer Session Committee meeting in the Greenwood's home in Carver MA. "F. Gardner Perry by the Old Flagpole"
F. Gardner Perry was the third person to serve as President of the FNCA: from 1947-1964. Here, he is standing next to the old wooden flagpole at the top center of the hill on the upper lawn. The Rev. 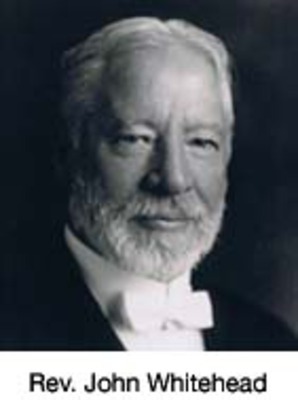 John Whitehead (1850-1930) was one of the FNCA's three co-founders. He worked very closely with the president in running the Assembly and was one of our core lecturers for most of the first decade. 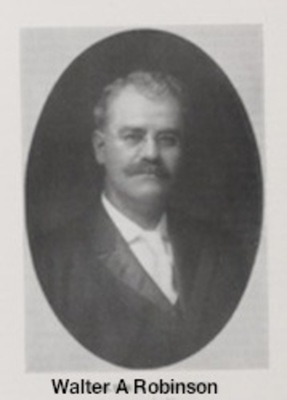 This photo of Walter A. Robinson (1854-1925), one of the three co-founders of the FNCA, is from a 1924 issue of Boston Latin School's Register. Since he died the following year at the age of 70 or 71, this photograph was likely taken 35 years earlier when he became principal of the Boston Latin School. 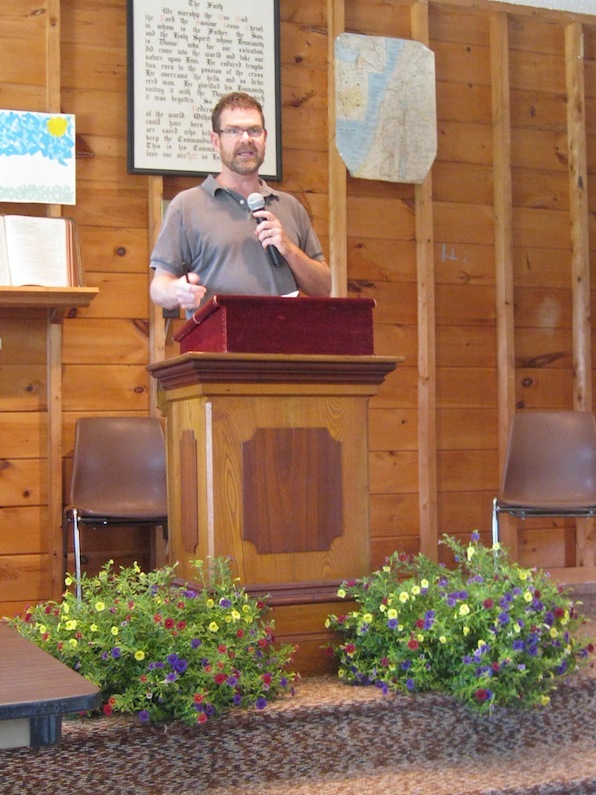 Mr. Robinson began his career as a teacher and also served one year as principal of Fryeburg Academy. The Rev. Louis A. Dole (1884-1964) was one of the three co-founders of the FNCA, serving as it's first president from 1921-1940 and then for one more "fill-in" year in 1946. He was a core lecturer from 1921 until the late 1950's or, more likely, the early 1960's. Rev. 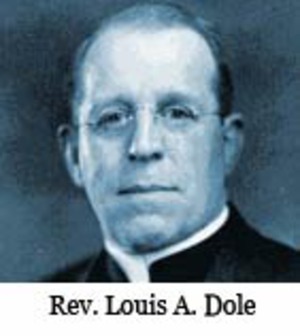 Dole was assistant pastor in Urbana from 1916–1920. During those years he also taught at Urbana Junior College (now Urbana University), and was it's principal his last two years there. 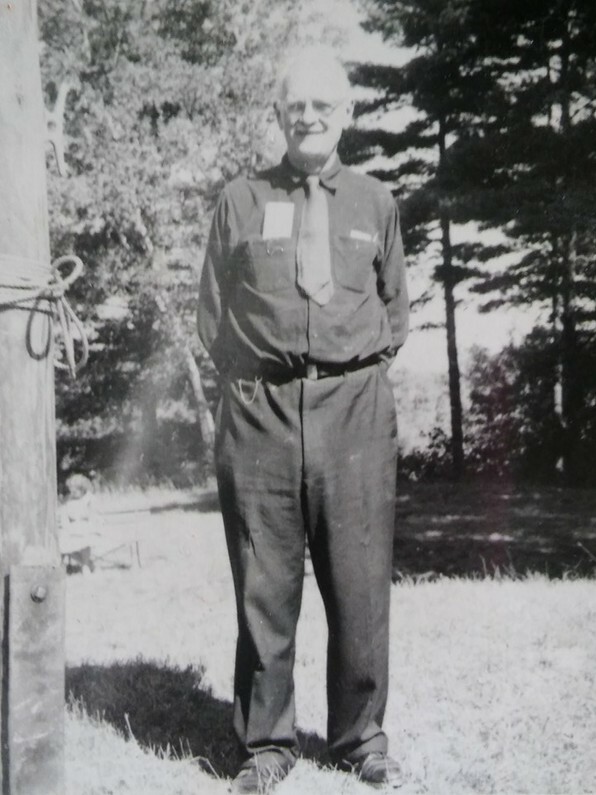 He then served as pastor in Fryeburg from 1920–1937 and then in Bath from 1937–1964.